The Havanese is the national dog of Cuba, and its ancestors arrived to the island from Tenerife in the early 16th century. At the time Cuban trade was highly restricted by the Spanish, and Tenerife was one of the few open ports. The breed has an interesting history even today; every dog that lives outside of Cuba stems from 11 dogs that fled with their owners at the time of revolution. This is a small and sturdy breed. Their coat looks warm, but it has developed to insulate and protect the dogs from tropical sun. They require regular grooming, but do not shed. Havanese are generally friendly and become very attached to their families. They are known for being affectionate, intelligent, playful, and easy to train. 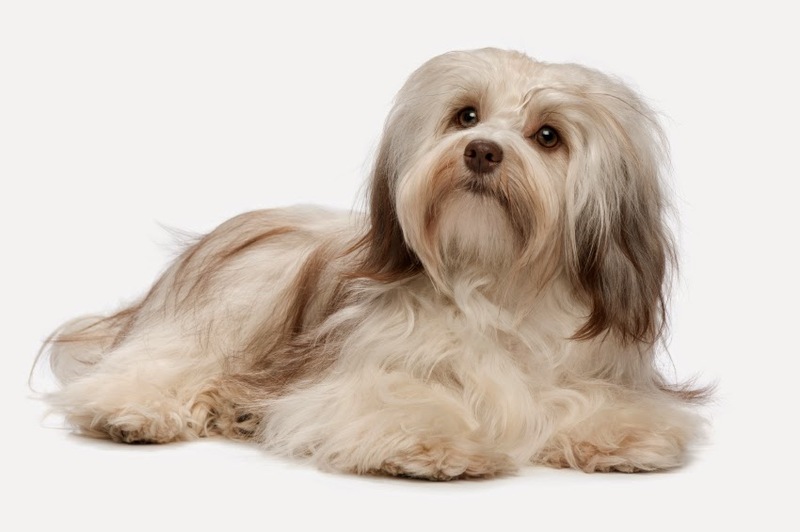 This is a quiet breed too; many Havanese never bark, and they get along well with dogs, cats, and other pets. I don't know about quiet!! But I love my Havanese Rocco; he IS smart and LOVES to train. They are terrific dogs but they do need lots of attention and applause!